This Gay Head, Massachusetts stately lighthouse clock is both functional and pleasing to the eye. A collectable piece that is also a decorative alarm clock. 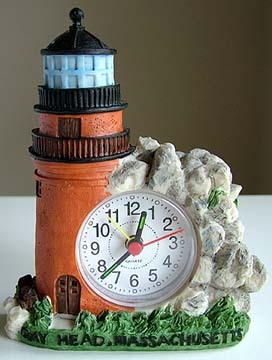 Imagine this wonderful lighthouse piece in your guest home or guest bedroom! It's sure to please! 4.5" W. x 5.75" H.